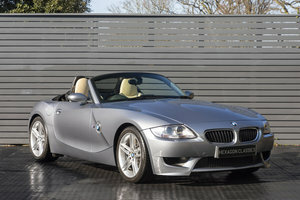 Sadly selling our beautiful Z4 3.0SE auto convertible in Maldives Blue. We have owned this car for 3 years after buying it from a friend who owned it from almost new. The car has every possible extra as follows: Full black leather interior Satellite navigation CD Autochanger Xenon headlamps Heated electrically adjustable seats Rain sensing wipers Cruise control Headlamp washers Air conditioning Electric acoustically lined hood The car has been maintained to the highest standard - both in our ownership and with the previous owner. I have replaced front discs & pads, rear springs, rear tyres (Continentals), and electric window mechanisms (a common ailment on these cars). The oil + filter and brake fluid have been changed yearly, regardless of mileage - which incidentally, stands at approximately 70000 miles. 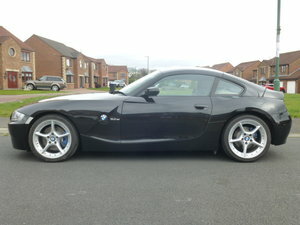 This Z4 is in outstanding condition with excellent paintwork and a well kept black leather interior. I think it would be difficult to find a better one. It drives faultlessly and everything works as it should - including nice cold aircon, cd/ sat nav system and most importantly, a perfectly functioning & immaculate electric roof. There is a large history file with the car that gives a detailed record of its life from new. 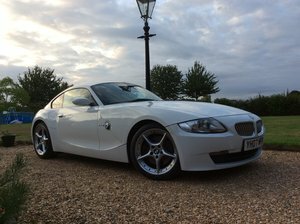 The 3 litre Z4 is a great car to drive. With 231 BHP, it eats up the miles in a most satisfying way. For top-down fun,the hood opens or closes in a very fast 7 seconds. It is also economical, returning an easy 30MPG with more on a long run. This is a very reluctant sale but we hope to pass it on to another enthusiast who can enjoy it as much as we have. With care, these cars go on forever. 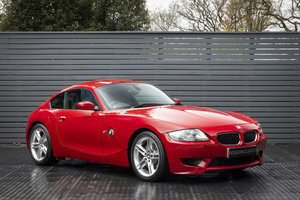 They are also on the cusp of becoming a classic so depreciation will be minimal. Independent inspections are welcomed.